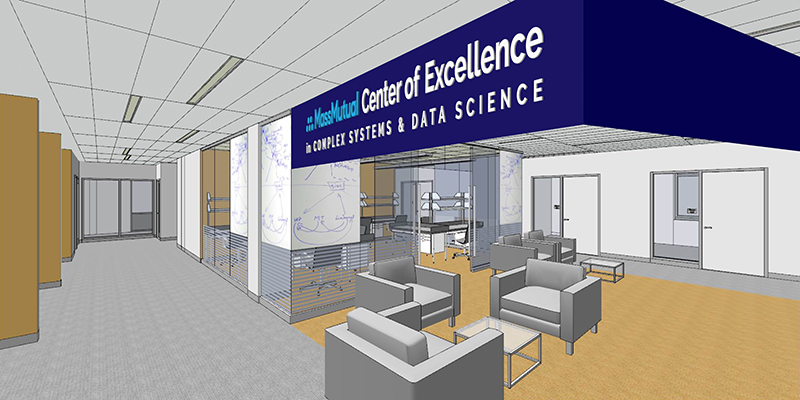 Expanding its relationship with the University of Vermont's (UVM) Complex Systems Center, Massachusetts Mutual Life Insurance Company (MassMutual) announced today that it is providing $5 million in funding to further advance study and research in the field of data science and analytics. Faculty members from four academic departments (Chemistry, Mechanical Engineering, Geology, and Physics) at UVM have been awarded a Major Research Instrumentation (MRI) grant from the National Science Foundation for the acquisition of a 30 kV Zeiss Sigma 300 VP Field-Emission Scanning Electron Microscope (FE-SEM). The instrument features both a variable pressure mode and in-column deceleration to provide best-in-class low voltage operation down to 20V and 1.2-nm resolution at 20kV. 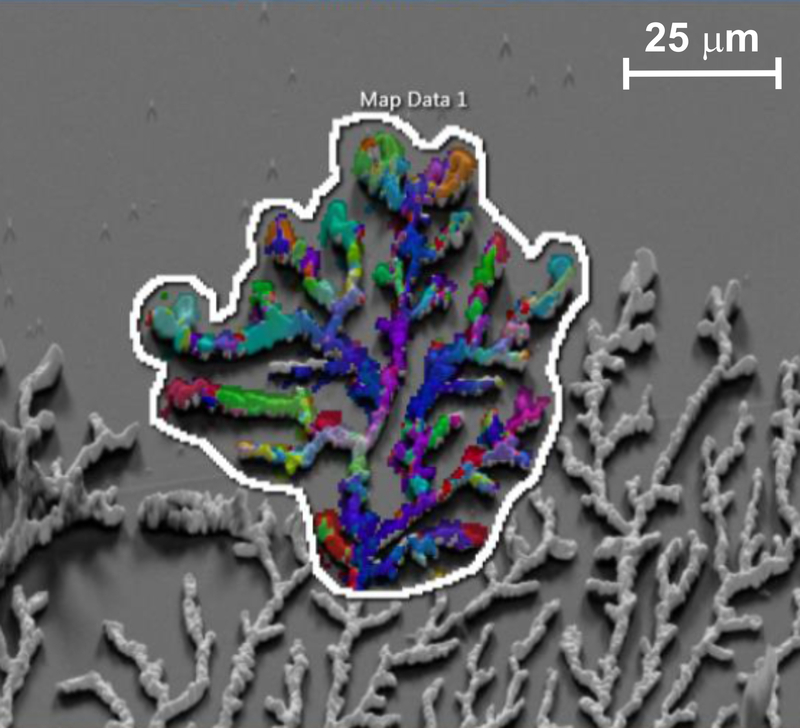 The instrument includes state-of-the-art electron diffraction detectors and software that enable grain orientation mapping and merging of chemical and crystallographic orientation maps at the microscopic scale (see figure). The equipment will enable ongoing, potentially high-impact research in several areas: (i) Chemistry of materials, including studies of nanoporous and nanocrystalline structures for catalysis. (ii) Studies of defect-property relationships in organic semiconductor thin films relevant to improved organic electronic and hybrid organic-inorganic photovoltaic devices. (iii) Studies of ultrahard metallic nanomaterials, including in-situ studies of microstructure evolution under deformation relevant to energy materials. This unit will be the first FE-SEM in the state of Vermont available to academic and general users and will be incorporated into laboratory exercises for new and existing courses. Hands-on demonstrations and science projects will be available to the general public and to high school students in rural Vermont and the Adirondack Region of New York. The instrument features a remote operation capability that will allow live SEM demonstrations in the classroom and presentations at the ECHO Lake Aquarium and Science Center in Burlington, Vt. This remote access feature will become a core demonstration for outreach efforts at middle and high schools, where highly visual demonstrations of nanoscience can help promote interest in STEM fields. The FE-SEM will also be available to local industrial partners, providing both an imaging service and a focal point for academic industrial collaborations. Thanks to a generous gift from the Alfred P. Sloan Foundation, Computer Science faculty member Josh Bongard and his research team will build the world’s first in-browser supercomputer, to be known as #UVMComputes. Most supercomputers are housed on university campuses or in the cloud. 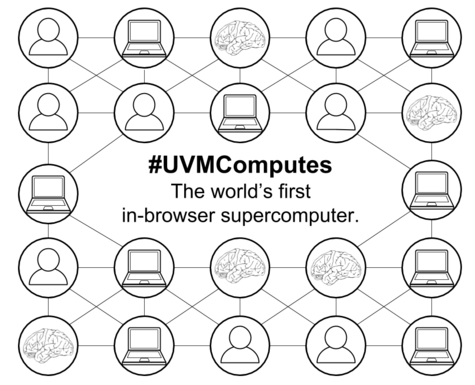 #UVMComputes will connect together laptops, smartphones, tablets, and any other internet-enabled device whose browser is pointed to the #UVMComputes web address. Once connected, devices will start crunching numbers for faculty and students on campus who need computer horsepower for anything from homework assignments to federally-sponsored research projects. “We’re building #UVMComputes as a new way to connect students, faculty, staff, and alumni,” said Bongard. “Many students are looking for ways to get involved in research on campus, and #UVMComputes will be a new and easy way to do so.” He added that #UVMComputes will enable alumni to give back to their alma mater simply by connecting to #UVMComputes with their devices. The Sloan Foundation is a charitable foundation that invests in projects that enable the public to participate more easily in science and engineering. Funding for the project began in the summer, with #UVMComputes likely to come online in early 2020. The University of Vermont, in collaboration with the University of Maine and others, will create a highly competitive University Transportation Center (UTC) called the Transportation Infrastructure Durability Center (TIDC). TIDC aims to help save taxpayer dollars by extending the life of our transportation assets, including bridges, roads, and rails. 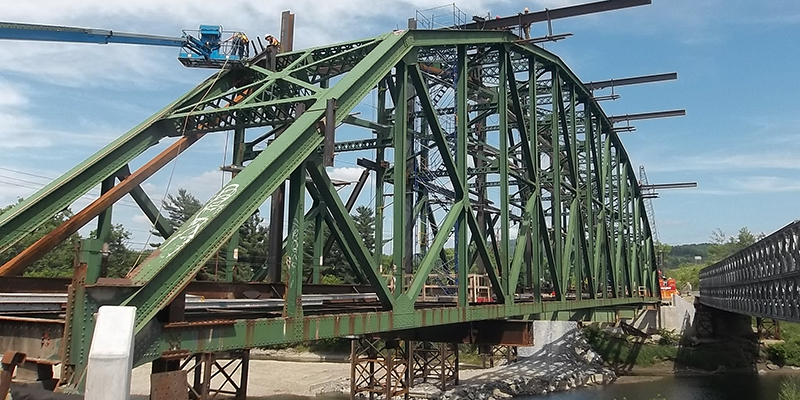 The U.S. Department of Transportation will provide as much as $14.2 million over five years for this University of Maine-led coalition, which includes the University of Vermont, University of Rhode Island, University of Connecticut, University of Massachusetts Lowell and Western New England University. Hypersonic vehicles fly faster than Mach 5 and they must manage the high levels of heat transfer that they experience on their external surfaces. When the very high-speed flow is brought to rest at a vehicle surface, the vehicle’s kinetic energy is converted into thermal and chemical energy at very high temperatures. The strong temperature gradient at the surface then leads to significant heat conduction into the vehicle. A new class of materials, Ultra-High Temperature Ceramics (UHTCs), are being developed to protect hypersonic vehicles from the aero-heating while also maintaining a stable surface geometry that is needed for control and maneuvering. The University of Vermont (UVM) is partnering with the University of Michigan (UM) to develop a reliable numerical model of the interaction of these new materials with the high-temperature plasma conditions expected for hypersonic flight applications. The computational framework and numerical models will be developed at UM, and this effort will be informed and guided by experiments performed by UVM in the 30 kW Inductively Coupled Plasma (ICP) Torch Facility. Different UHTC materials will be subjected to different plasma gases at temperatures approaching 7500 K in the ICP torch facility to elucidate the key reactions that limit material performance. Details of the critical gas-surface reactions will be quantified by laser-spectroscopic measurements of the reactive species and surface reaction products, and these measurements will enable validation of the numerical model. This two-year research effort is funded by the Office of Naval Research (Dr. Eric Marrineau, Technical Monitor). The project, "Network epidemiology and the quantification of behavioral interventions," directed by Dr. Laurent Hébert-Dufresne, focuses on understanding how behavioral factors determine the spread of emerging infectious diseases. Indeed, the dynamics of new outbreaks are shaped not only by the biology of the virus, but also in large part by societal and behavioral factors. The network epidemiology project therefore proposes to develop a framework based on network science --- which embraces behavioral heterogeneity --- and on qualitative data collected from community engagement efforts. Altogether, the goal is to develop community-specific probabilistic forecasts available before an outbreak even enters a community. The project will use proprietary pipe descaling technology (PDT) to effectively remove phosphorus in Vermont sized wastewater applications. The technology uses an induced electric field of variable amplitude and frequency that can promote precipitation of crystalline minerals (struvite) without the dangerous and damaging adhesion to pipes, pumps or in-tanks. The PDT coupled with an electric-filtration cell will be employed to enhance phosphorus capture. 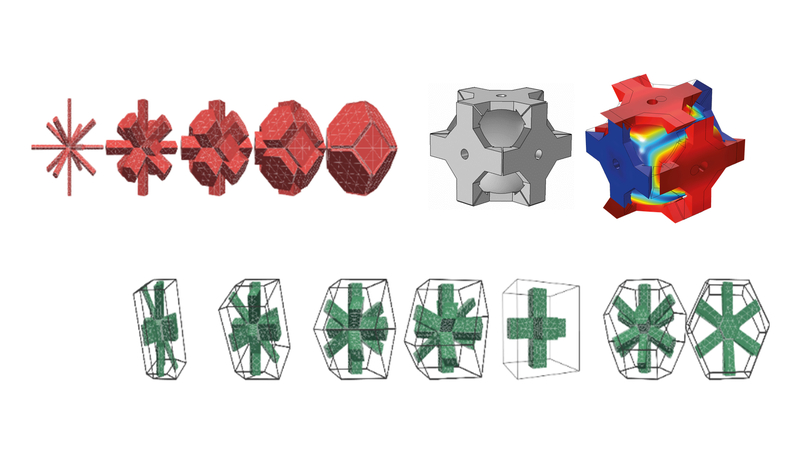 A nationwide collaboration led by researchers from Duke University and with researchers from Northwestern University, Rensselaer Polytechnic Institute, and the University of Vermont has secured funding to produce an organized, searchable, extensible repository of data on polymer nanocomposites and structural metamaterials complete with a suite of analytical and predictive tools to help spur the discovery of new materials. The project is funded through a five-year, $5 million grant from the National Science Foundation's Cyber-infrastructure for Sustained Scientific Innovation program.